$9,367 on it's way to the Multiple Myeloma Research Foundation & the Delaware Breast Cancer Coalition What a successful event!! Thanks to all who participated in the June 20th activities held at Cavaliers Country Club! To all 44 golfers, 24 Hole Sponsors, those that sampled Terry's colorful jello shots, 10 teams who bought the mulligan-putting contest package, 104 dinner attendees, 16 donors who could not attend but sent in $465, 25 auction-item donors & the 26 auction buyers, 108 people who bought 50-50 tickets, BRAVO! JOB WELL DONE! Special thanks Joe Mercatante for donating his talents for our logo design! To the family & friends who worked this event - God bless you; you make this happen! Thanks also to the support from Cavaliers Country Club, Bella Vita & Standard Distributing Company! 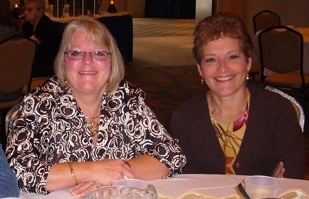 Thank You For A Great Tribute To Donna & Shelley! "Momma Bs' " Team Raises $6,234 for American Cancer Society! Relay for Life was held at Newark High School on May 20th-May 21st, 2011. 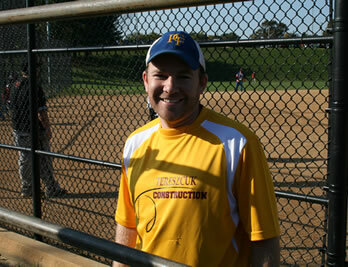 John originated & coordinated the '1st Annual Donna Baird Memorial Softball Tournament' which was held on Oct. 23, 2010. He raised $2,239 for Stem Cell Transplant Research at the Hospital of the University of Pennsylvania. Great job John! Mama Baird would be so proud of you!